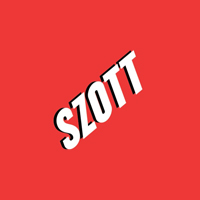 Auto Financing in Highland | Szott M59 Dodge Ram " "
Szott M59 Dodge Ram can help you buy the car of your dreams! Our professional financing department helps customers secure a car or Ram truck loan in the Highland area, or find a customized new car lease option. We can even help Detroit, Novi, Southfield, Warren, Sterling Heights & Bloomfield Hills, Michigan residents with less than perfect credit get auto loans in Highland. Apply online right now using our online finance application or contact us with any questions. You can also call us or stop by our Dodge dealership at 2565 E Highland Rd to speak to an experienced new and used car loan professional today! Bad credit? No credit? Don’t let credit problems hold you back from buying or leasing a new Ram or Dodge near Detroit or a quality used car. Call Szott M59 Dodge Ram by phone – we can help! We want to be your ‘go-to’ Dodge dealership near Detroit. Give Szott M59 Dodge Ram’s finance team a call, contact us online, or visit us at 2565 E Highland Rd, Highland, MI.